Fitness Together is a private personal training studio franchise based in Highlands Ranch, Colorado. The fitness chain provides 500 private studios with one-on-one attention, personal bathrooms and showers, with sessions by appointment only. Even the windows are covered for privacy. 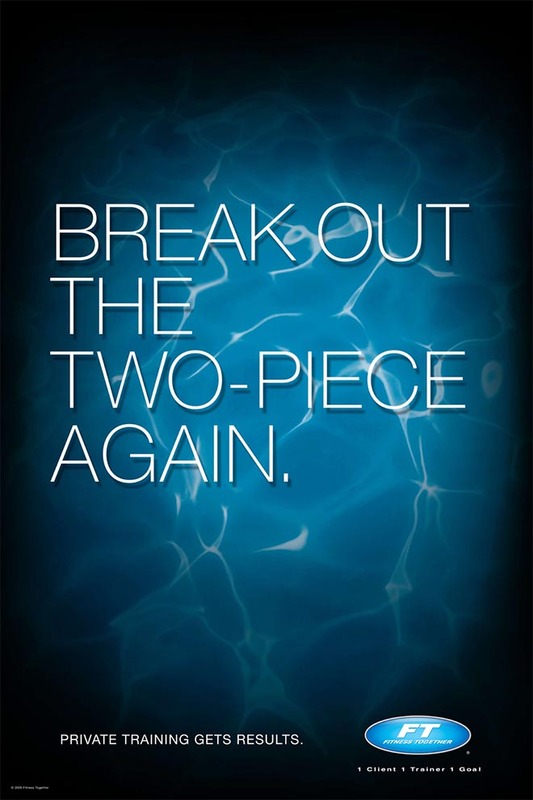 They’ve recently launched a series of posters encouraging clients to get back into training. 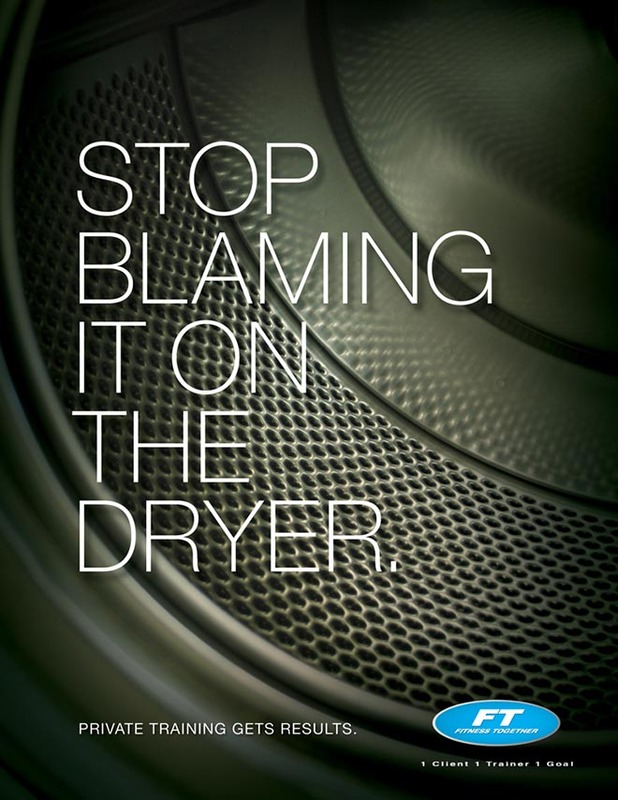 No more blaming tight clothes on the dryer. 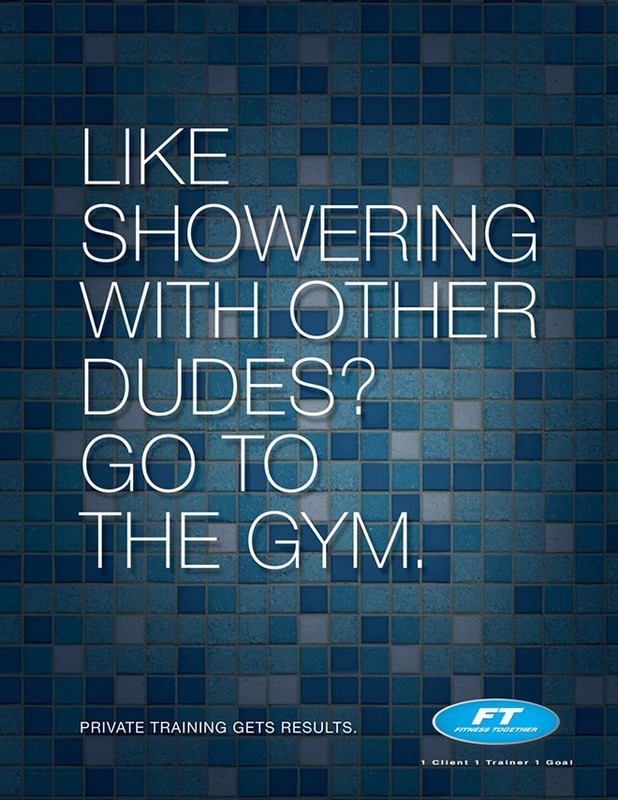 If you’re keen on showering with dudes, come to the gym. 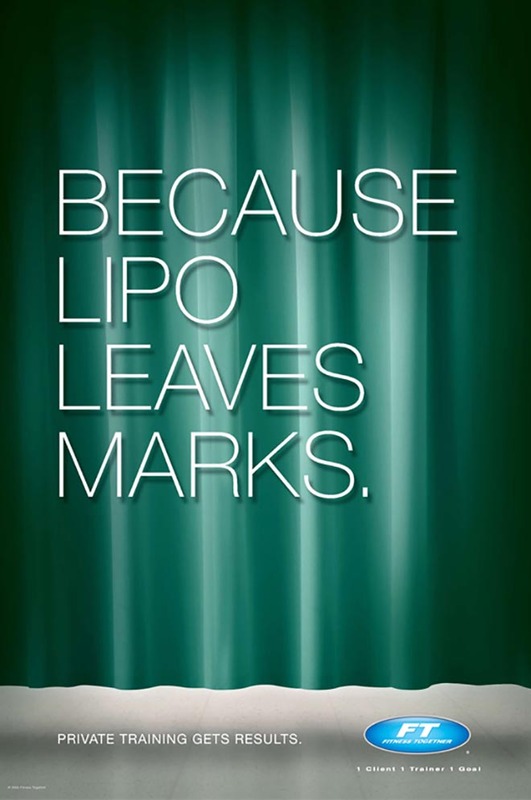 The tagline: “Private training gets results”. 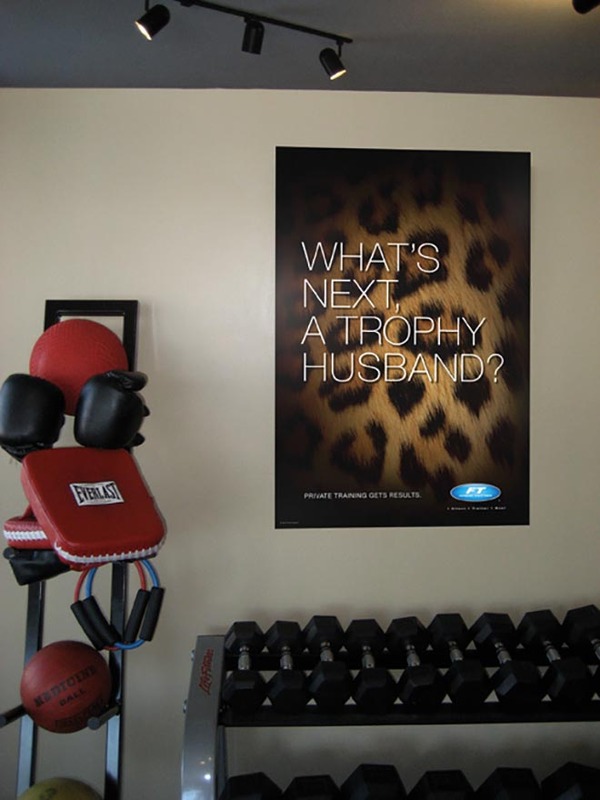 The Fitness Together Posters were developed at Sukle Advertising & Design by creative director Mike Sukle, art director Jeff Euteneuer, copywriter Jim Glynn, account director Kristin Tangye, account manager Dan Schultz and production manager Gail Barker.